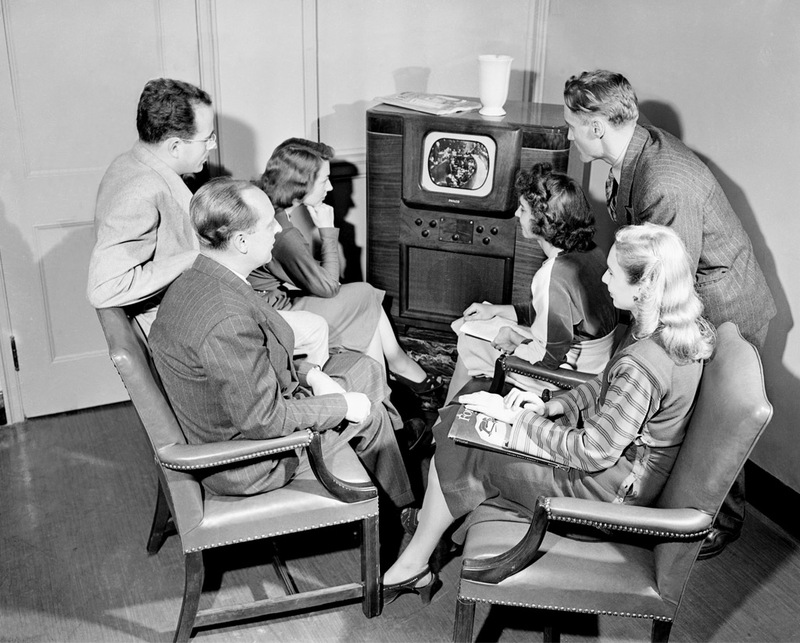 The caption for this photograph in our corporate archive reads: "December 13, 1946, Philadelphia, Pennsylvania, an audience views a televised program of President Truman addressing the United Nations from October 26, 1946. Broadcast was seen in Philadelphia over station WPTZ." What a difference from today’s big screens!